GENERIC TYPE: A premium quality glossy enamel, based on Alkyd Resin & pigments designed for both protection and decoration, internaly & externally. Color: Blue, Red, Yellow, Green, etc. Usable Time Of Diluted Material: . Backed ourselves with sound amenities and talented personnel, we have emerged as one of the leading firms of Synthetic Enamel Paint. MILAN SYNTHETIC ENAMEL is high quality alkyd based enamel with a very high gloss finish. It forms a touch film which is resistant to stains and water. It is suitable for interior and exterior applications. Shyne synthetic Enamel is a high gloss paint with excellent film integrity and built-in toughness. With abrasion and chemical resistance properties, it gives a long lasting, luxurious, brilliant glossy finish. perfect for all surfaces both interior and exterior, can withstand any Indian weather condition. 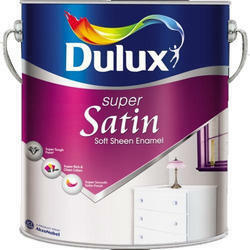 Formulated with alkyd and select colourants, it gives a long lasting glossy finish to every surface it touches. We are supplying regular drying & fast drying in different type of adhesion quality in all shade require by customer for domestic & industrial use. All type synthetic enamel & primer will be supplied. 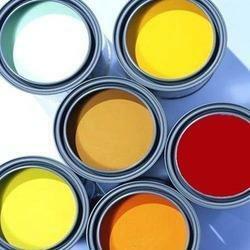 Sun Synthetic General Purpose Enamel is solvent thinning paint based on superior quality oxidising type of Alkyd resins.It is pigmented system for.